ENGLEWOOD, Colo. (October 5, 2015) — When Kathy Elsey was diagnosed with multiple myeloma, the second most common blood cancer, she and her husband Dr. Bruce Elsey, co-founders of Dr. Elsey’s Precious Cat, knew they had a unique position to combine corporate success with a bigger mission – enabling pets and their owners to participate in the fight against cancer. Through the Cats Against Cancer Campaign, nearly $8 million dollars has been raised to help the MMRF drive advancements in cancer research and find a cure. 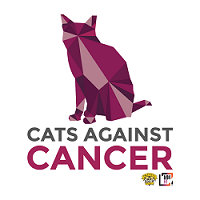 The interactive Cats Against Cancer campaign will run through February 2016 and spans across Facebook, Twitter and Instagram, enabling users to share their individual experiences and support the campaign’s mission. As part of the campaign, users can download a coupon from the campaign landing page that allows them to save $3 on their next purchase of a 40 pound bag of Precious Cat Ultra Litter. For every $3 saved, Precious Cat will donate $3 to the MMRF. “The Elsey Family and the Cats Against Cancer campaign have been a total game changer. Since our partnership with the Elseys and Precious Cat in 2009, nearly $16 million has been raised through their direct support and our matching year-end gift campaign,” says Walter Capone, CEO of the MMRF and chief believer in finding a cure. Last year, the Cats Against Cancer campaign reached over two million people and received thousands of unique visitors over the span of five months. “This year we are excited to watch the campaign close in on the $8 million dollar mark. We chose to partner with the MMRF because they have a proven track record of results and one primary goal – finding a cure,” says Dr. Bruce Elsey of Precious Cat. Make a difference now. Join the Cats Against Cancer movement and help find a cure by visiting http://www.preciouscat.com/save3. To learn more about this campaign, please contact Precious Cat at 877-311-2287 or email gina@preciouscat.com. Dr. Bruce Elsey has been a practicing veterinarian for over 30 years and his practice cares for over 8,000 cats. Nonuse of the litter box is the number one behavioral reason cats are abused, abandoned, and placed in shelters. Dr. Elsey’s goal is to provide products that help cats live happier, healthier lives, and provide litter box solutions for the life of your cat. For more information, please visit our website, and follow news about our company on Facebook.